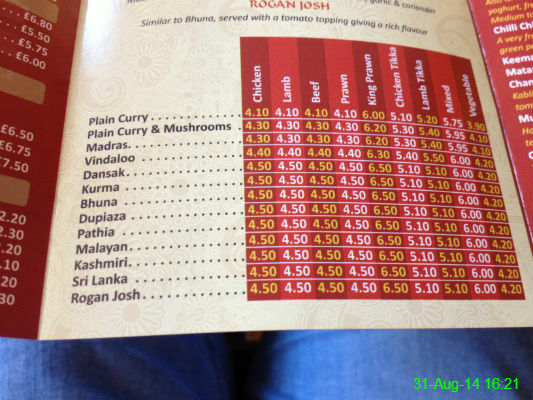 The layout of this takeaway menu reminds me of how the scorecast odds are displayed on the back of a football coupon. It's enough to make me never order any food from this place! Dad hosted a party to celebrate his 60th birthday. 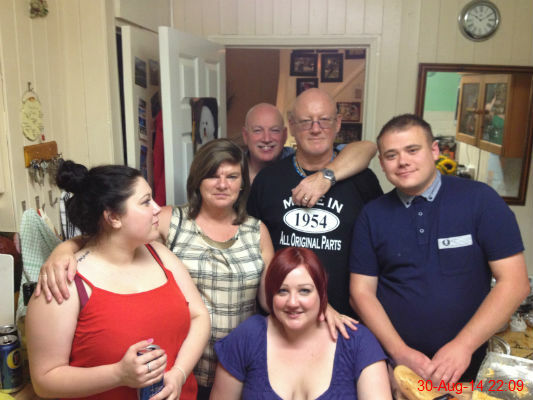 Left to right: Claire, Jean, Keith, Ali, Dad & Michael. I took the afternoon off work today and ended up going shopping at the Silverlink. 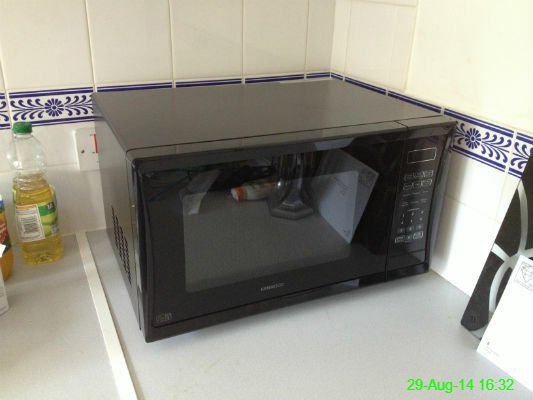 It was a fruitful day and we ended up with a shiny new microwave to replace the one that had developed a mind of its own. 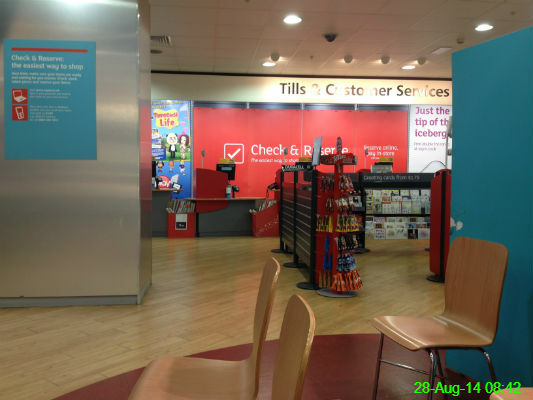 I went to Argos this morning. I was their first customer of the day. 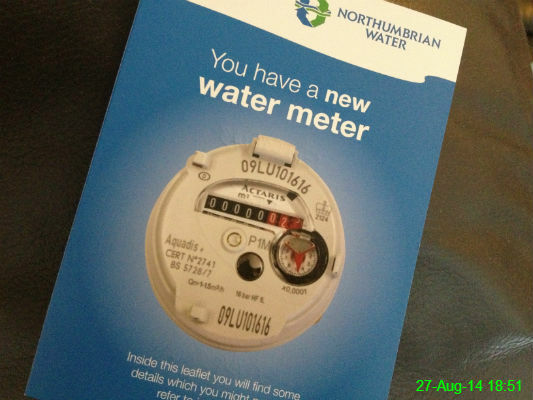 I came home to this - apparently we've had a new water meter fitted. 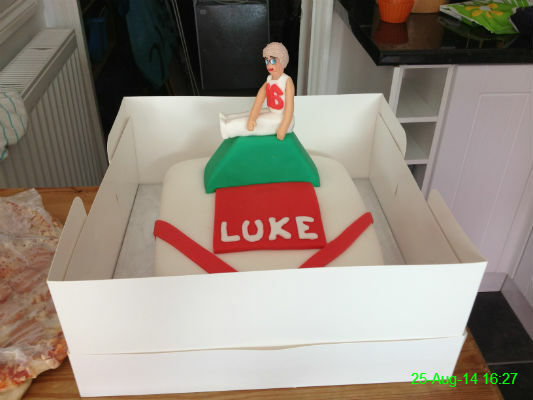 We went to a party to celebrate Luke's 16th birthday and this was his gymnastic-themed cake. 24 August 2014: Guess Who? 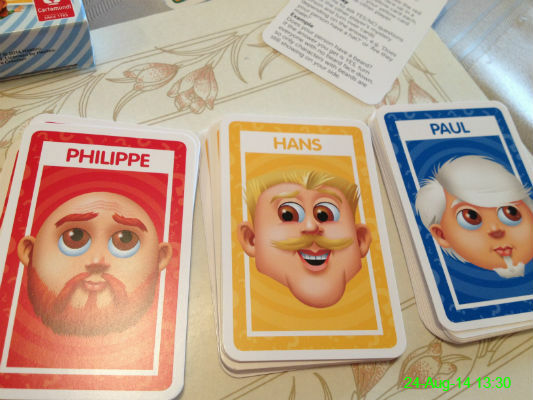 I loved the board game as a child but I'm not convinced by the card version. These were my pick of the sinister looking characters available. 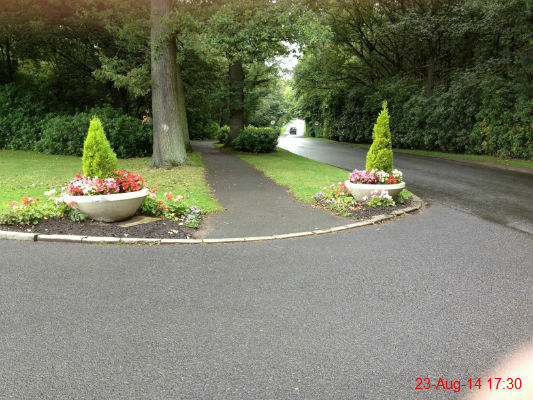 These triangular shaped bushes in Gosforth Park are just crying out to be used as a set of goalposts for an informal kickabout! 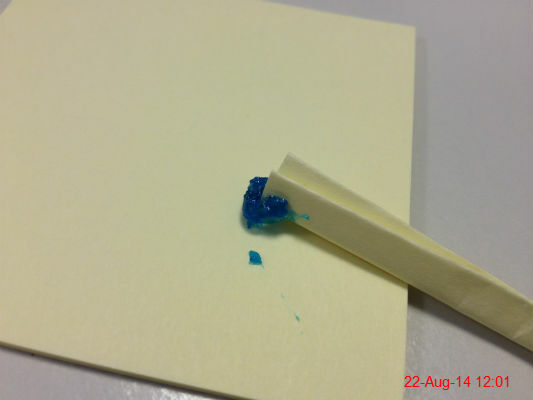 I used a folded up post-it note to clear out the gunk from the top of my bottle of hand sanitiser. 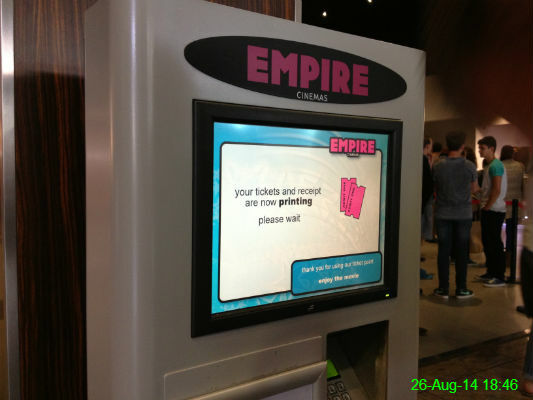 I'm extremely disappointed. 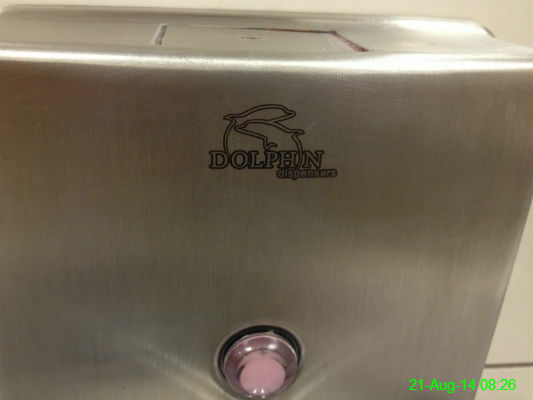 It only gave me soap. 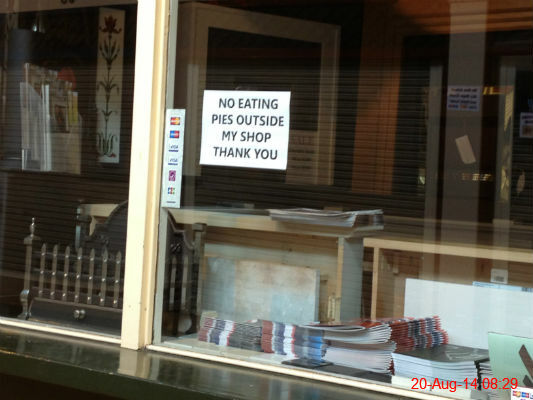 I guess the owner of this shop in the Grainger Market either hates pies, or likes them so much they can't bear to see anybody else enjoy one while they're stuck at work. 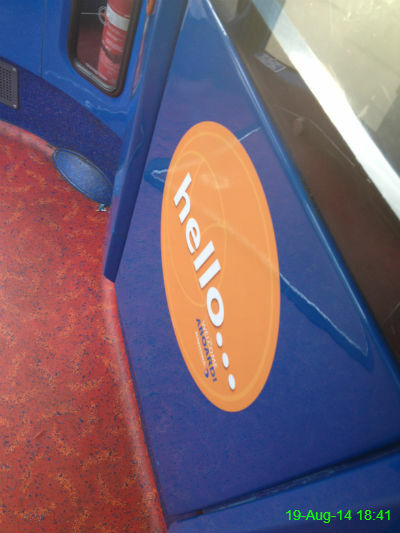 Goodbye would've been more appropriate, since I was actually leaving the bus. I don't think it's worth writing a letter of complaint though. 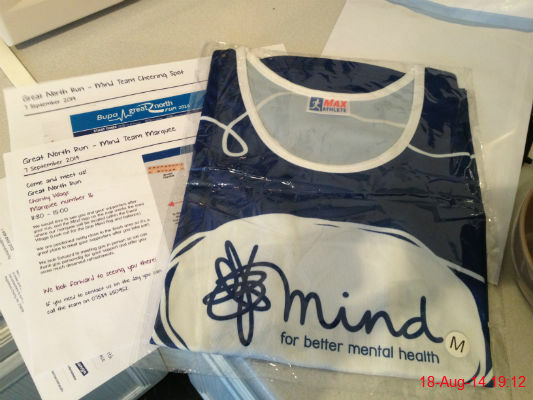 My vest from Mind for the Great North Run arrived today and it's a pretty good fit! 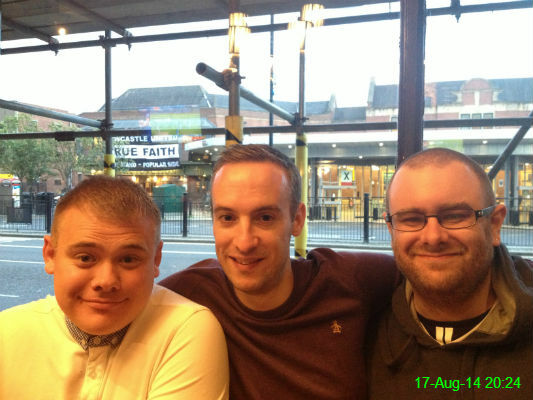 Michael, Matty and Jody in The Hotspur after Newcastle opened their season with a 2-0 loss to Manchester City. 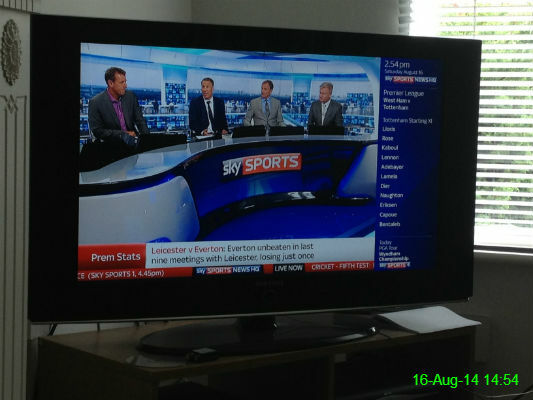 It's been a while since I watched Soccer Saturday but since the Premier League season started today it was absolutely vital to catch up with Jeff and the others. 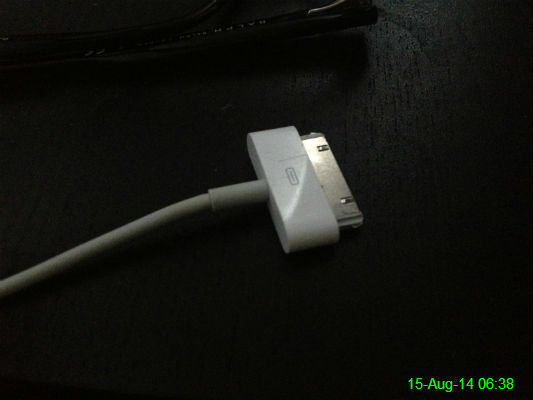 I call this "the bit that connects the charger to my iPhone". During the course of the morning I took my resting heart rate and found it ranged from 48-52 beats per minute, which seemed extremely low. 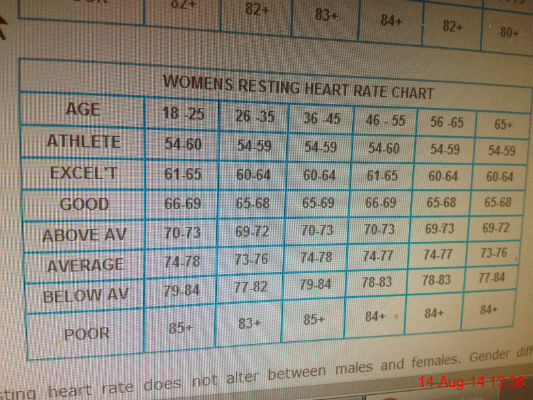 I'm pretty fit and healthy but according to this chart that's lower than an athlete. I'm starting to wonder if I'm actually dead.. but I think it's more likely that I'm just terrible at counting. We got this leaflet through the door yesterday and it was like receiving a letter from an old friend. Pizza Pizza was my favourite takeaway when we lived in Heaton (and probably partly responsible for me ending up about 4st overweight) but I've not ordered anything from them in years. 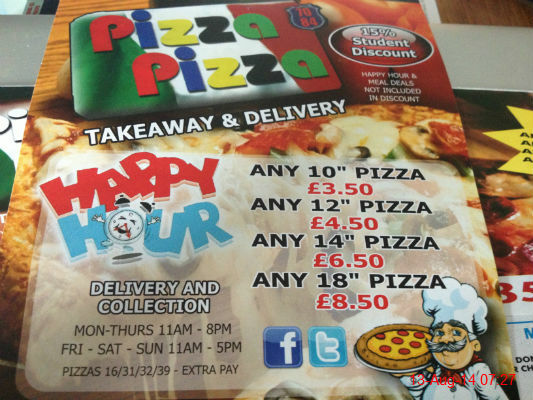 Part of me is tempted just to experience the thrill of ordering an 18 inch pizza for delivery halfway across Newcastle at 11am on a Tuesday. 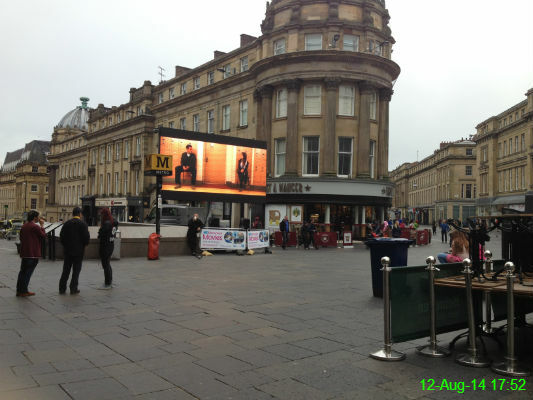 Today the movie showing on the big screen at Monument was Crazy, Stupid, Love. I haven't seen it before, but it was just starting to rain so I decided not to wait around and see what happened. I've had an upset stomach since yesterday so I was forced to take my first sick day in several years. 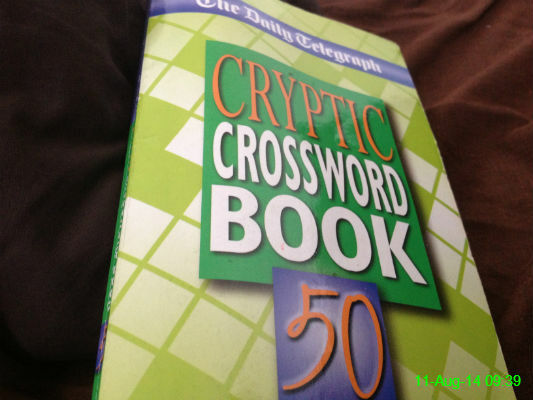 By about half 9 I was bored beyond belief, but thankfully I managed to dig out this crossword book to pass some time. It was a true lazy Sunday today, so I didn't move much. This week is Newcastle Restaurant Week so we went to try Coop Chicken House. 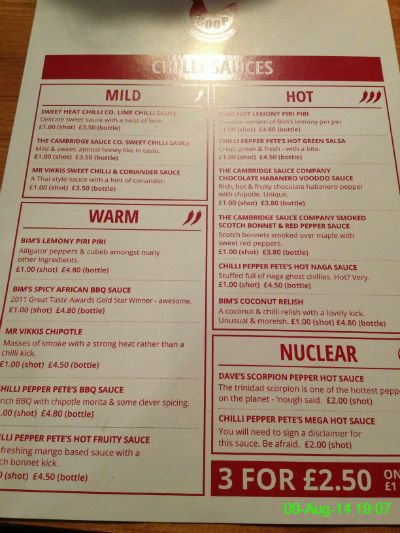 Their half chicken was lovely, as were the chilli shots, of which there were quite a few to choose from! 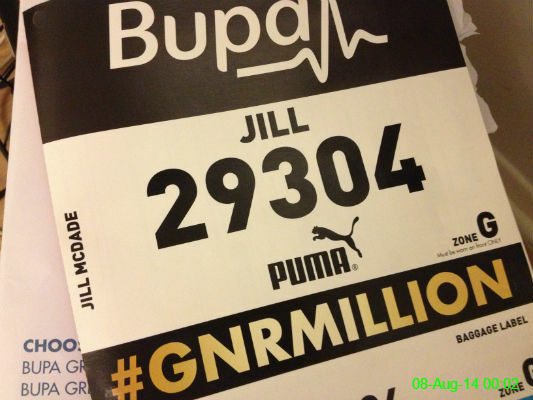 My Great North Run race number has arrived and this year I'll be starting further ahead than in previous years, in the white zone. 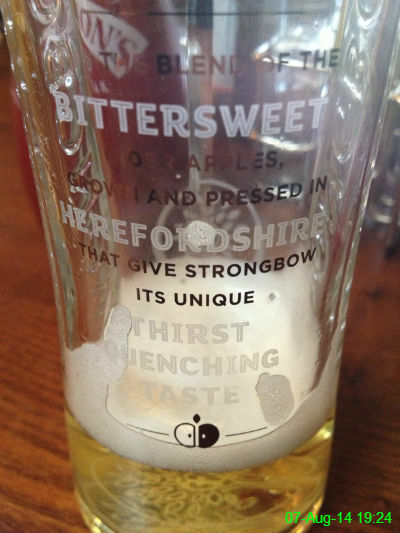 I like pint glasses with a bit of reading material on the side. Even more so when they contain Strongbow! 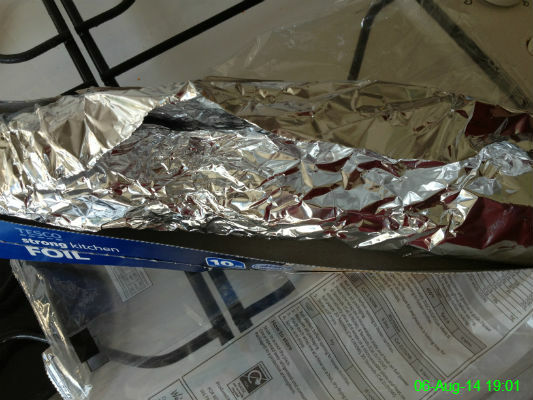 Yesterday the entire roll of foil decided to unravel and I didn't do a very good job of putting it back how it was. I collected my new glasses today. 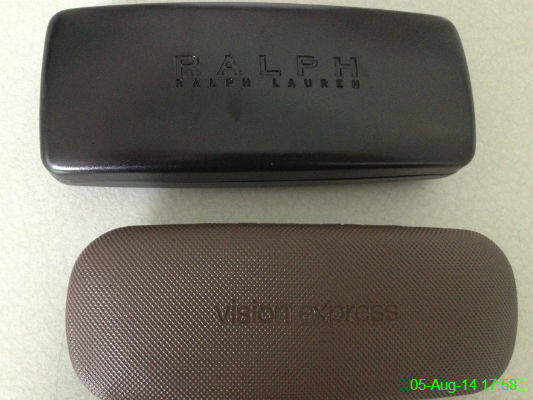 This is usually the only time I see the case before the old ones go in it and it gets put away into a drawer, but since I also got sunglasses this time round I suppose one of them will get a bit more use. Now for the next trauma: waiting for my eyes to adjust to the new prescription. 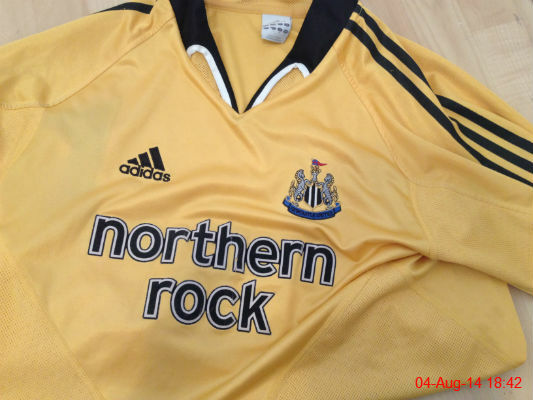 I'm always on the lookout for old football strips to wear for running/the gym and this is the latest addition to my collection - Newcastle's third kit from 2004-05. It always reminds me of Patrick Kluivert during his brief spell at the club. After Sunday dinner I went for a walk along Blyth beach and the pier with Michael, James and Nicole. 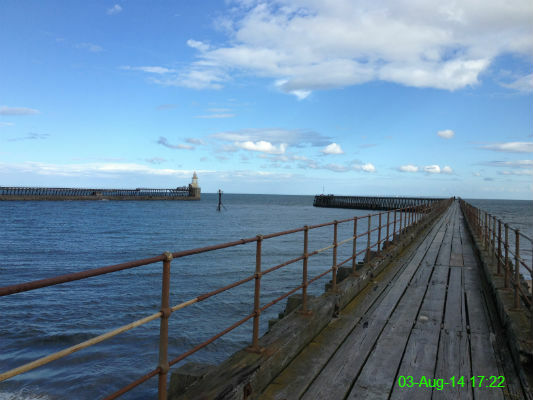 It was nice to stretch the legs but very windy out on the pier - thankfully I didn't get blown into the sea! After paying a visit to Matt's new house, we went for a few drinks in the Falcon's Nest. 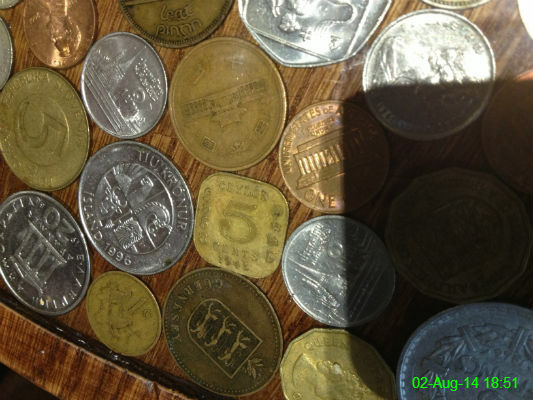 The tables had quite a cool design, filled with various different types of coin, and this square one was my favourite. 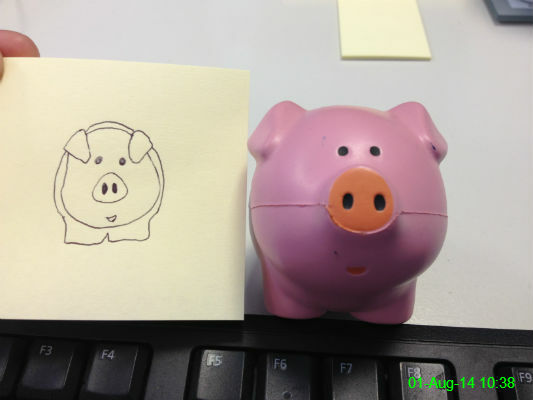 I was stuck waiting on hold for a while again, but despite my best efforts I don't think I'll ever be an artist.